1-Lumberjacks, cattle drivers, and hunters who most people normally put at odds with forest fairies in modern day books really had a symbiotic relationship with them. For example, in Germany a forest god would chase down and kill forest fairies like rabbits, but the lumberjacks would draw magical symbols on trees which could keep the fairies safe. In Russia herdsmen would provide food for the fairies who would protect their herds. And hunters obviously prayed and made offerings to the forest fairies who provided them with game. Indeed all three of these people's had such a close relationship with the fairies that they were often considered magical, essentially witches in their own right. 2-Many of the spirits of the forest are the spirits of the human dead. Tree spirits, rock spirits, mountain spirits are often the spirits of the dead. Indeed the forests and mountains were often believed to be the afterlife, acting as both heaven and hell. 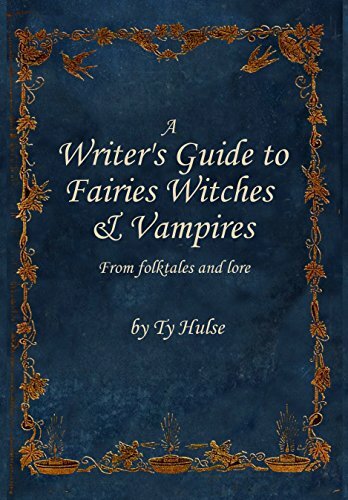 3- Vampires and forest lords are often confused with each other in lore, because they are so much alike its often difficult to distinguish one from the other. Forest fairies, after all are among the scariest of all fairies. And indeed the devil in fairy tales who wishes to buy people's souls is often originally a forest fairy, who wants to buy people's souls. 4-After all forest fairies want human workers. They would often hire and or enslave humans to watch their animals, to serve their feasts, to watch their children, and more. For those of you looking for writing prompts there are a number of tales about people who become shepherds for fairies, watching their cattle. Or stories about people who become babysitters for the fairies children. You could even add a little action by having this happen during a time when the fairies were at war with each other. 5-As time went on it was a natural transition for forest fairies to move into people's houses, becoming essentially household fairies. Indeed people would make sacrifices to forest fairies in order to get their aid within the household as the forest fairies approval was important to a households success. 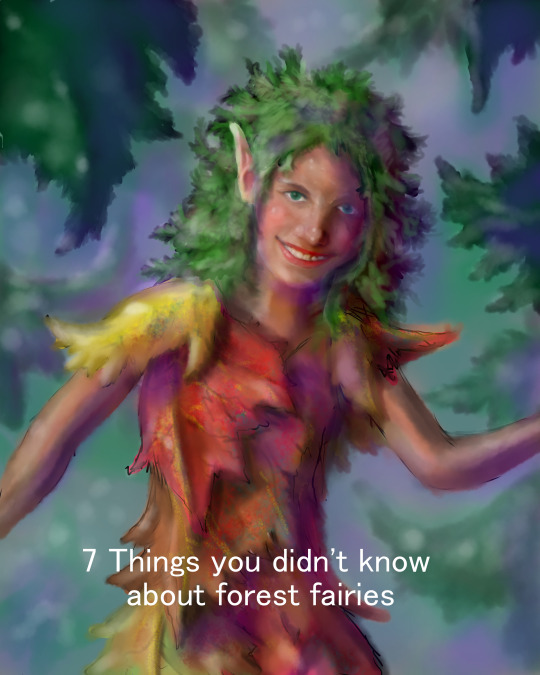 6-In fact whole cities were founded because of forest fairies who agreed to become the patron of the city's future. Sometimes these fairies even married the city's founder. Thus the children of a city could be the children of a forest fairy. In Greek lore Arcadia was founded by a hero who saves a tree nymph. In return she agrees to sleep with him and the two of them have many children, whose children become the first Arcadians. 7-Despite their domesticating nature, forests also represented freedom and an escape from society. In Japan many women would escape abusive husbands and hard society by escaping with a forest fairy. In Selkup lore (hunter-gatherers in Siberia) a spirit caled the Muli qup, which looked a lot like a satyr, would teach women how to hunt on their own so they could leave their abusive husbands. 8-As part of this forests came to be associated with shamans and witches because this is where they would often learn their craft. Specifically they were often possessed by spirits who caused them to go running into the woods, or kidnapped by them. Often they would emerge a few years later, feral and covered in moss. After this they could use their friendship with the spirits of the forest to perform magic. Almost all fantasy stories are based on a limited number of European, Japanese or Chinese ideas. Yet there are many more incredible stories that go ignored by writers and artists. So for today's writing prompt idea, I'd like to introduce you to Yupik ghost stories. For those of you who don't know, the Yupik people live on the far West Coast of Alaska. This is where I spent my entire childhood and where I developed my love of folk tales. What is so fascinating about growing up with these stories is that here people didn't think of fairy tales as taking place in a far away place. Instead fairy tales happen all around us. This is important to keep in mind when thinking about fairies in general. They weren't off in some distant isolated forest, they were in and around people's homes. Unfortunately my memory isn't great so I only recall snippets of tales. I have just bits and pieces of the ghost stories I heard as a child, while the freezing cold wind howled outside (school wasn't canceled until 75 below zero). Still I've put together a small collection of stories that I do recall to some extent or another which you can see here. You can also watch Yupik Story teller, which is is a PBS show in which a number of different elders share their stories of encounters with the other world. I heard a similar story in Kipnuk with a few minor differences. For one the boy who dies is friends with the other boy, another is that they are lured by the smell of cooking food to the witches house. Still the basic tale is the same, as is the moral. You can read the version as best I remember it here. There is also a great Facebook dedicated to Yupik Ghost stories, and I have a snippet of one of the tales shared on it below. A great famine swept the land. Animals had been led away from their usual migratory routes although the berries and greens were abundant. No one could explain the phenomenon and people became sick and many died of malnutrition. There were two shamans left in the area. One good and one evil. The remaining people congregated to one village and the shamans set up their own camp on each side. The good shaman arose before dawn and prayed daily for good fortune upon the hunters. Then the hunters ventured out in search of food. They'd have to travel for many miles on foot and took the entire day, but they always managed to find something. The setting sun marked the time the hunters returned and the time when the bad shaman awoke. He was the only one who stayed up late and never worked or helped the people in the village. He felt entitled to receive all that he desired by any means and he terrified the people into giving him whatever he wanted. Spirits are enforcers of morality, so many of the stories are about how ghosts will punish immoral behavior. Follow Wandering Folklorist's board yupik on Pinterest. A Dark comedy which manages to be slapstick, Yes please! It's nice to see Warner Brothers finally taking their Vertigo comics a little more seriously. The Comic was created by Chris Roberson and Mike Allred. The show itself includes a wonderfully wacky assortment of writers and directors. Rob Thomas (creator of "Veronica Mars,") who was born just in Sunnyside a few miles from where I'm typing this (Please come to the local Comicon) and Mairzee Almas (Smallville) iZombie strikes the perfect balance between it's somewhat dark theme and being hilariously goofy. The best part is that while the first episode is an origin story it zips right through this allowing us to jump quickly into life.... er, unlife as a zombie. Origin stories after all are often the most boring, what's interesting is the quirky character sneaking brains for lunch in the morgue, stealing anything that's the color red, and using their zombie powers to save people. 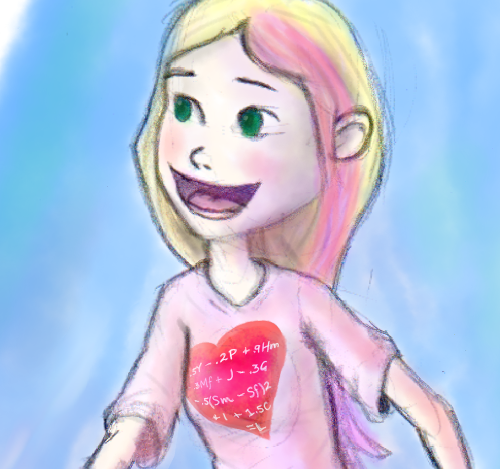 I love math and science so I tend to have characters who do as well. I figured I'd have a math geek who was cute and fun. The tiny fox growled, warning the boys standing over him that he would bite them if they dared take a step closer. Far from keeping them away, however, this egged them on. Laughing at the threat one of them kicked the little fox with a heavy boot. The fox felt his ribs heave with agony. His body crashed against the wall. Winded he gasped for breath. His lungs burned. Tears formed in his little golden eyes. With a snarl he managed to lunge on one of the boy’s heavy boots, but his teeth bounced off the rubber. He gnawed, trying to get some purchase but there was none to be had. Another boy kicked him, sending him sprawling along the dirt. He wanted to run, but he was caught in a corner, a wall on either side and a pair of bullies in front of him. Leave him alone, he heard a girl yell. The girl shoved her way through them so violently she sent one of them sprawling into the muddy grass. A pair of bright pink boots appeared between him and the bullies. 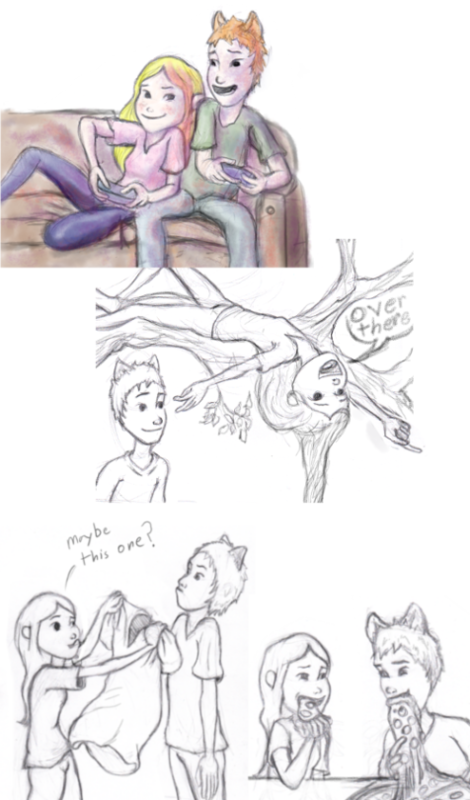 The fox looked up at the girl who stood facing the boys. 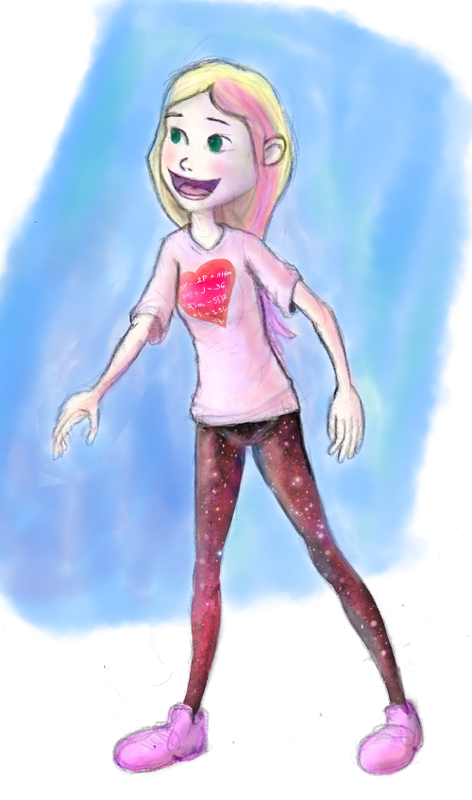 Pink and blond hair glistening in the evening sun, making her seem to glow like an angel. A dozen cute dangles hanging from her bright blue backpack. 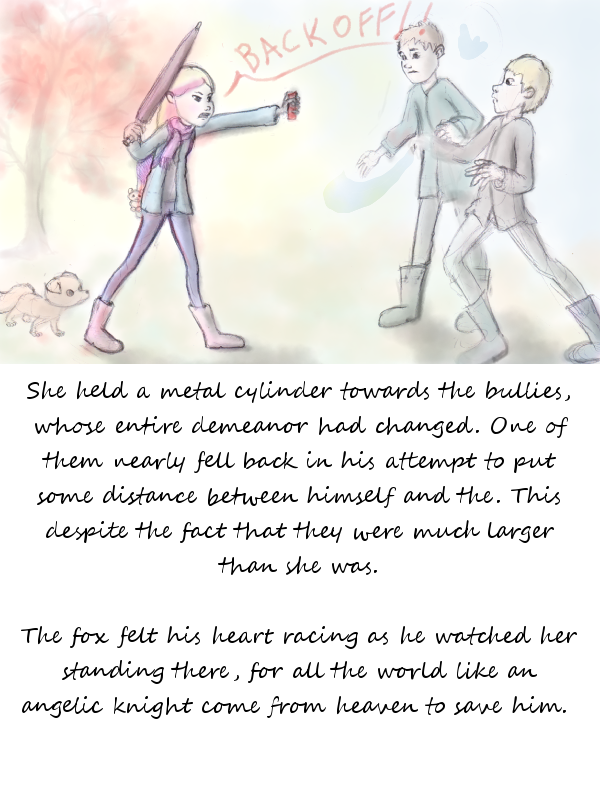 She held a metal cylinder towards the bullies, whose entire demeanor had changed. One of them nearly fell back in his attempt to put some distance between the girl and himself. This despite the fact that they were much larger than she was. The fox felt his heart racing as he watched her standing there for all the world like an angelic knight come from heaven to save him. It’s not worth it, one of the bullies grumbled at last. A moment later they were gone. 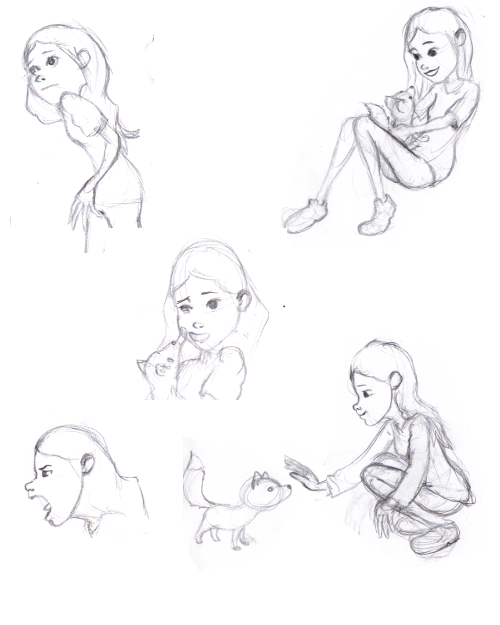 The little fox rubbed himself gratefully against the girl’s boot and gave a playful yip. She looked down at him and smiled, her cheeks bright from the chill, her lips as pink as her hair. You seem really friendly, she noted as he gave a playful puppy yip, then rubbed against her boot again. Ever so carefully she reached down. The fox pulled back, still not certain if he should trust a human. She paused her hand hovering a few inches from him. At last he gave in to the temptation to play with his savior and pushed his face against it. She stroked him along the back and he felt his skin tingling with pleasure. He gave another playful yip and pressed against her hand again. She crouched down beside him and gave him a few more pets, but it didn’t last nearly long enough before she stood back up. Well, I have to go, she told the fox. A moment later she’d started walking home. The little fox limped painfully along behind her. He cocked his head at her curious refusal. She hadn’t said she didn’t want him. So he continued to limp after her. Fine, she sighed after they’d gone a few dozen more feet. She pulled off her coat and scooped him up in it. Despite the pain he was in the little fox felt euphoric, that is until she put him down and shut a door between her and him. He looked up at the intimidating house she’d entered for a moment then ducked into the bushes by the door. A littlelater she peeked out the door again, and he bounced out of the bushes with a playful yip. I really shouldn’t be doing this, she said. But you’ve had a hard day, so here. She set down a bit of pork fried tofu. The fox devoured it gratefully as she gave him a few more pets. Then as before she disappeared behind the door. The fox watched her house for days after that. As near as he could tell they never let any animals into the house at all. But they let any human who knocked in. So if he wanted to be near the girl who’d saved him the solution was simple. The process was another matter entirely. Transforming into a human for the first time is a painful and difficult ordeal, which is why most foxes never learn how. But the little fox was determined. He climbed high into the mountains and plunged himself beneath a freezing cold water fall. Then, still shivering he climbed up to where the snow had already started falling. There he stayed without eating for days, starving himself until at last he started to see the strange world around him. From the spirits of the mountains and the trees he learned out to change into a human or any other animal at will. Finally after months of practice he began observing humans to understand how people met new friends. Finally, just two weeks before summer vacation he took the form of a human boy and approached the girl who’d saved him while she was waiting for the school bus. Hello, she returned with a smile.